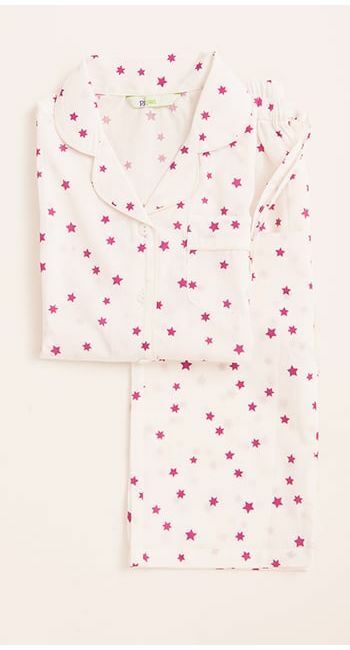 Girl's cream pyjama bottoms showered with pretty pink stars in a cool cotton poplin fabric. Classic straight leg pj trousers with an elasticated waistband and a functional drawstring. Team them with one of our vest tops. The same fabric is available in the women's pyjama collection as well as the younger girls' pyjamas if you're looking to buy matching mother and daughter pyjama bottoms.